NANAIMO, British Columbia – The city council of a small Canadian town canceled an event in a city-owned facility last month after learning that the event was to be sponsored in part by Chick-fil-A. Nanaimo, Canada, is a small town in southwestern British Columbia with a population of approximately 85,000. The city had planned to rent out an event center to a Georgia-based leadership organization for a simulcast on May 9, but that changed when city leaders learned that the event would be sponsored in part by Chick-fil-A. Evidently, the Nanaimo city councilors took issue with the Christian faith of Chick-fil-A’s president, Dan Cathy. According to minutes from a May 5 city council meeting, city leaders voted 8 to 1 to cancel the event because they did not want to be associated with Cathy’s Christian beliefs. 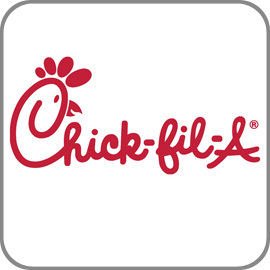 The Nanaimo city councilors are not the first governing body to reject Chick-fil-A due to the chain’s Christian owners. As previously reported, a North Carolina university voted in 2012 to ban the restaurant from its campus, then a Methodist university in Atlanta followed suit last year. During the May 5 council meeting, Nanaimo city leaders repeatedly bashed Cathy’s faith and Christianity in general. The Nanaimo City Council’s decision has since generated widespread criticism, with many describing it as an act of discrimination against Bible-believing Christians. Ezra Levant, a Canadian lawyer and best-selling author, wrote in a Toronto Sun column that the city council’s motion was an example of “shocking bigotry” against Christianity. Following criticism, the Nanaimo City Council released a statement, in which they insisted that the motion to cancel the event was not driven by anti-Christian discrimination. Nevertheless, many individuals—including non-Christians—were upset by the council’s decision. As this latest round of Chick-fil-A controversy continues, a recent USA Today report suggests that the Chick-fil-A owners plan to focus less on social issues in the future. Though the Cathy family is still well-known for their Christian business practices, they say they will distance themselves and their company from the pro-traditional marriage stance. “I’m going to leave it to politicians and others to discuss social issues,” Cathy promised.